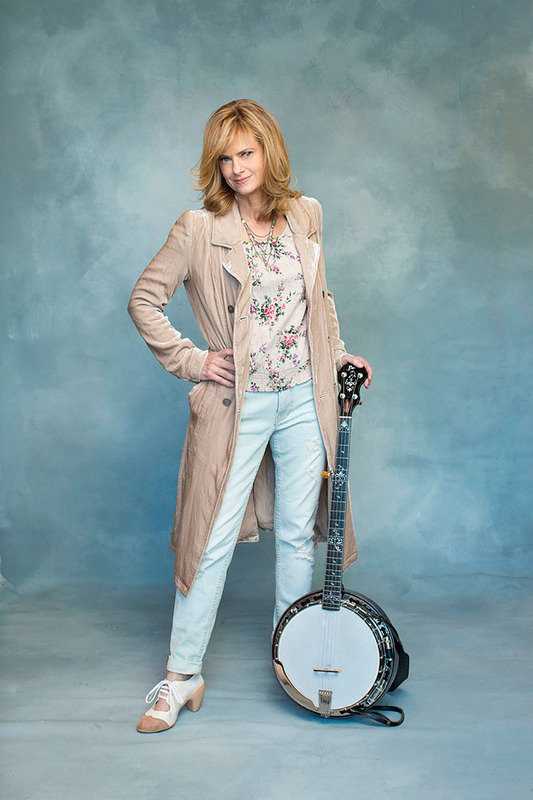 Alison Brown has taken an unlikely path in establishing herself as one of the most critically acclaimed banjoists in the world. A former investment banker (with a bachelor’s degree in history and literature from Harvard and an MBA from UCLA), Alison is a Grammy winner, US Artists Fellow and co-founder of Nashville-based Compass Records. 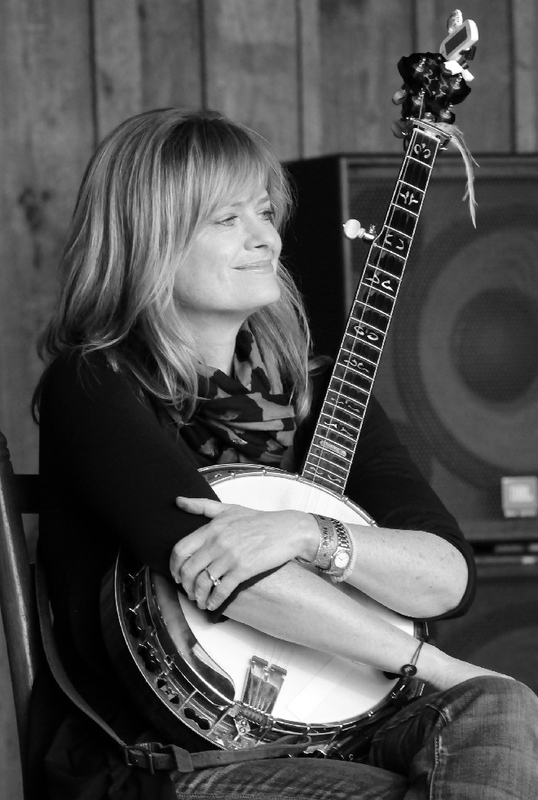 In 2015, the same year she celebrated 20 years of Compass Records, Alison received the Distinguished Achievement Award from the International Bluegrass Music Association for fostering bluegrass music. 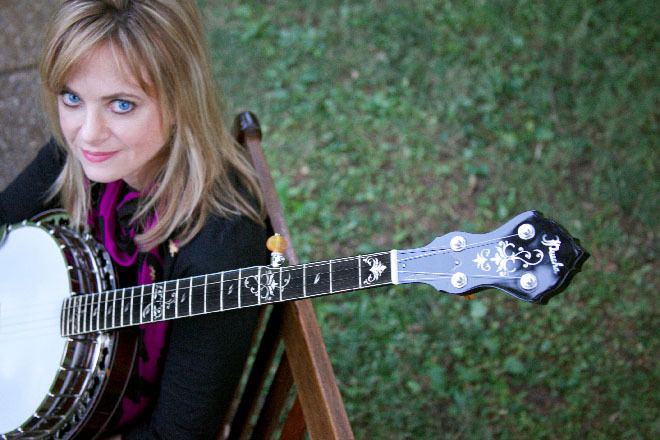 From the first moment you hear Alison Brown’s banjo, you know you are experiencing something special. She has a unique way of captivating you with her mesmerizing inventive approach. In her hands, the music from the banjo knows no limits. 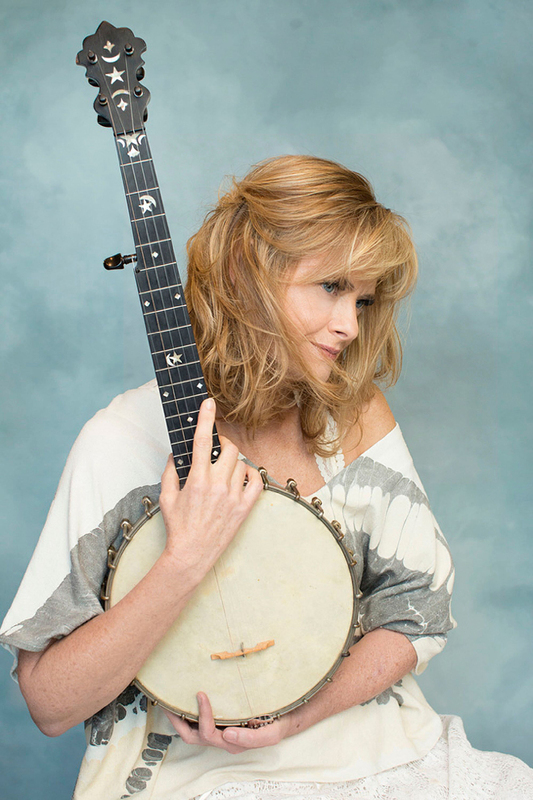 Brown combines a wide range of root-influenced music—folk, jazz, Celtic and Latin—and is considered one of the finest progressive banjo players. She and Compass co-founder, husband and bassist Garry West have assembled a stellar cast, including some of Nashville’s most adventurous session players, as well as special guests Indigo Girls, Keb’ Mo’, label mate Colin Hay, ukulele virtuoso Jake Shimabukuro, legendary drummer Steve Gadd, fiddle sensation Stuart Duncan, Dobro whiz Rob Ickes, upright bass maestro Todd Phillips, and Irish guitar/bouzouki phenom John Doyle. 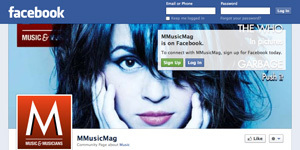 In this web-exclusive interview for Mmusicmag.com, Brown talks about how this new album evolved, her secret desire to collaborate with Tony Bennett, and why she chose this innovative 360 video shoot for Marvin Gaye’s seminal “What’s Going On”—a highlight of this all-encompassing album. She also tells us how she chose Keb’ Mo’ for this Americana-soul version which was a bonus track, recorded after the album was finished and rush-released as a free-standing single to radio. It showcases Mo’s warm vocals and instrumental sparks between Duncan’s fiddle and Brown, as well as Joe Davidian’s fiery piano solo—but it’s Brown’s understated backup and exploratory solo on low banjo that quietly steals the show. How did the idea of re-imagining “What’s Going On” come to you? Garry West (Compass co-founder, album co-producer, my husband and the best bass player in his price range) has always loved that song and over the years we’ve talked about doing an acoustic-leaning version. But to us, it also seemed like a sacred song, and record, so we were gun-shy about attempting it. But with the events in South Carolina last summer, and the seemingly everyday news story of some unnecessary violence, we realized the message of the song was just as relevant now as it had been when Marvin Gaye wrote it in reaction to the Chicago race riots in the early ’70s. It seemed like the time was right to take it on and see if we could give it a life in the Americana realm. Tell us about the innovative 360 video shoot. I was visiting Charlotte Huggins, an old friend, who is a film producer in LA and is at the top of her field in 3D films. She’s produced many 3D and Imax movies, and movies like Journey to the Center of the Earth. She was actually my French teacher at La Jolla High School. (Laughs) She was telling me about a VR production company that she was setting up with some partners in Atlanta, and together we thought it would be fantastic for roots music to be in on the front edge of that nascent technology. So we put together a live session to record a version of “What’s Going On” (which we had included as a bonus track on The Song of the Banjo), along with a few other tracks, and have just recently started releasing them. That album really grew out of a desire to make banjo music for people who aren’t necessarily banjo fans. I wanted to draw attention to the beautiful and lyrical side of the banjo—pull it away from its reputation as accompaniment music for high speed car chases and bank robberies, and show people that the instrument is worthy of mainstream acceptance. Part of our approach was to record songs and melodies that people are familiar with—to give a point of reference for listening to the banjo and hopefully make it easier for them to understand what’s so unique and cool about the banjo. 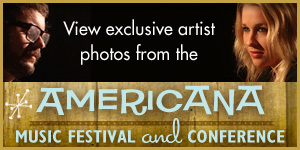 How did you choose the talented and versatile Keb’ Mo’ for this project? When we started seriously thinking about recording “What’s Going On,” Kevin’s name was at the top of the list of people whom I wanted to hear sing it. We were both on a show together, so I emailed him about the idea and he said he’d be there the next day—and he really brought it! He is such a great artist, collaborator and generous spirit. You had so many other amazing musicians on this album. Indigo Girls are two of my favorite musicians and people, and I love collaborating with them. For this album I thought it would be fun to hear them sing “Carolina in the Pines” and let the banjo emulate the cascading arpeggios that the piano played on Michael Murphey’s original version. Two of the other guests—Colin Hay and Jake Shimabukuro—are artists I’ve loved for a long time but had never collaborated with before. Colin (who is a label mate on Compass) was over for dinner one night and we started talking about Burt Bacharach songs. It turns out he grew up singing those songs with his sister, so we cooked up the idea of recording a version of “I’ll Never Fall in Love Again” (which gave me a chance to feature my wooden banjola) and went into the studio the next day and knocked it out. As I started working on a version of Chuck Mangione’s “Feels So Good,” I found myself wanting to hear what Jake would do with it on ukulele. I love his aesthetic and his sound. He actually recorded his part in Honolulu while we produced via Skype—that was a first for me. For this album, you chose updated interpretations of pop classics. But ever since your own 1990 Grammy-nominated Simple Pleasures album, you’ve been composing your own music. I wrote a few tunes as a teenager but didn’t really get into it until I was in my early 20s. I think it just took that long for the stuff I’d been listening to—to percolate and evolve into something I could call my own. All of my solo albums since Simple Pleasures have included original music, occasionally interspersed with some cover guest vocals, but The Song of the Banjo is the first album where I incorporated some instrumental covers alongside original tunes. I haven’t done a lot of co-writing but when I have, it has worked best for me to bring a tune that needs an additional section, rather than starting from scratch. I’ve done that a few times with John Doyle. He contributed to the tune “Airish” on my new CD, and a tune called “The Magnificent Seven” on Stolen Moments. That was one where his rhythmic input really helped me find the path through the odd time signatures of that tune. Tell us one experience where something unique inspired you to write a melody. Sometimes I’ll work backward from a title to the tune. For example, I wrote a tune years ago called “The Wonderful Sea Voyage (of Holy St. Brendan)” which was inspired by a TV program that chronicled the life of a sea-faring Irish monk named Brendan, whom historians think may have been the first European to sail to the new world back in the Dark Ages. One of the fun things about coming up with instrumental music is that I have a lot of leeway in what I write to evoke a story, since I don’t have to tell it literally in words. I also really like that it leaves a lot of room for the listener’s imagination since the story isn’t really spelled out. What composition tip would you like to offer? Listen to as much different music as you can. Try to play and write a little every chance you get. And try not to filter your ideas too much. Who influenced you to play guitar and banjo, and how old were you? I started taking fingerpick guitar lessons when I was eight. My teacher was also a bluegrass banjo player, and the summer I was 10 he brought over a copy of Earl Scruggs’ Foggy Mountain Banjo album. I was hooked on the banjo from that moment on. Where were you the first time you heard one of your tunes on the radio? I don’t remember the first time. But I have had some unexpected encounters with my own tunes over the years. One Christmas, on the way down to the Caribbean, I remember hearing “Homeward Bound” (which I recorded with Indigo Girls on Stolen Moments) as I was boarding an American flight. It’s a funny moment when you know you recognize the song but aren’t sure why. You have worked with so many incredible legends in music—tell us about one or two memorable moments. Playing with Doc Watson—one of my childhood heroes, and hearing him say “that’s some mighty good banjo pickin’ Alison!” And playing with The Band in 1992. Garry was also part of those shows, and he leaned over at one point and said “One of these days, you’re going to remember this and realize how incredible this is.” And he was right! 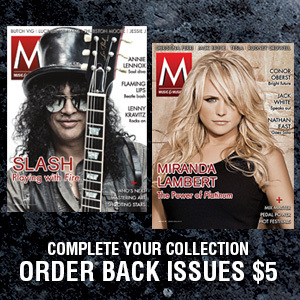 Top 5 Musicians who inspired you to become a musician. Well, I definitely feel like I’m a work in progress but I’d say: Earl Scruggs, John Hickman, David Grisman, Doc Watson and Stuart Duncan. I love my 1938 Gibson RB-3 banjo, but lately I’ve been playing my new signature model Prucha banjo on stage and in the studio, and have found that instrument to be really well suited to the music that I’m making today. I also have a 1939 Martin D18 that’s, as they say, “a hoss.” I’d hate to be without it. Any musicians you’d love to work with in the future? For sure James Taylor—and, believe it or not, Tony Bennett. Not many people would expect to hear that from me, but he’s amazing. What PRO are you with, and how do they help a composer/artist like you? I’m with BMI—signed by Jody Williams. I think it’s different with instrumentalists. They did a lot for songwriters. I played the Bottom Line with Kathy Mattea. They are a great networking tool, but for instrumentalists—they are a square peg. When we go to the UK, there’s much more of a tradition for instrumental music. This is near impossible, but what are your Top 5 favorite albums of all time? Last year, you celebrated the 20th Anniversary of your record label Compass Records. When you launched in 1995, did you dream of this vast catalog—of wonderful artists covering such a wide range of music? We dreamed about it—but to see it actually happen has been pretty amazing. We’ve had the privilege of working with some artists we’ve been fans of since we got into music—some of whom inspired us to get into music in the first place. We’ve also had the great pleasure of introducing some new artists and watching their careers blossom. 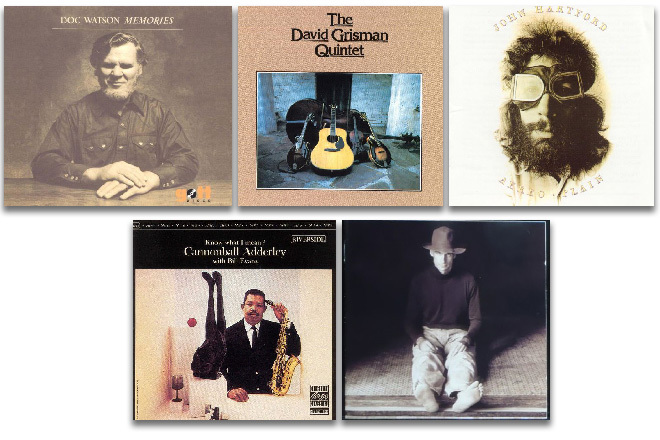 Out of the 600 in our catalog, we’ve released about 300 records of amazing musicians: Robbie McIntosh, Paul Brady, Peter Rowan, Colin Hay and so many more—can’t name them all. We have a new duo, Quiles & Cloud. They are FreshGrass award winners with incredible harmonies. Their new album Beyond the Rain is intimate, appealing and restorative. It’s a marathon—not a sprint! One of the things I love about roots music is that people can have careers that last a lifetime and that’s not generally the case in pop music. That has allowed me to think of my personal musical evolution in chapters, and has also allowed me to allow myself the time to develop and grow. Any words of wisdom you’d like to share with this new generation of musicians? The fragmentation of the music industry is one of the big factors that has led to the ‘artist as an island’ DIY mindset among a lot of younger musicians. But in my opinion, no one can truly go this alone. Speaking from experience, I think it’s really tough finding a balance between the business and the creative side of music. So I encourage artists to find a great team to engage with—and of course that’s where I think there is tremendous value in a label relationship. But no matter how you do it, surround yourself with folks who know their job and have the skills and access to the tools and relationships you need. You don’t know what you don’t know, and that can impede you ever reaching your goals. www.AlisonBrown.com is for my stuff. www.CompassRecords.com is for the big tent view.